We are currently investigating several pharmaceutical drug and medical device cases where there has been a withdrawal or recall of the drug/device from the market or where we believe there have been far more serious health effects than reported by the manufacturer. Prescription drugs can be defective in several ways, including: incorrect medication dosages during product manufacturing, quality control issues, undisclosed dangerous side effects and contamination. 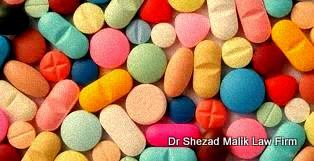 Suffering a dangerous side effect from a defective drug can severely alter your quality of life, or even be fatal. According to medical experts safety and effectiveness questions remain. 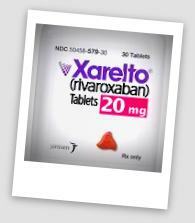 Xarelto, is a potent new blood-thinning drug, has been linked to an increased risk of severe, life-threatening and in some instances fatal internal bleeding episodes. Lawsuits allege that drug-makers failed to warn that Xarelto lacks an effective reversal agent, which can make it difficult, if not impossible to stop bleeding in an emergency. Now, a new source of surgical infections may be a likely culprit. 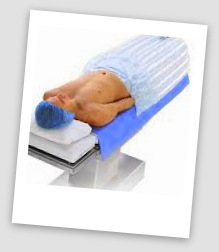 3M and their Arizant Healthcare subsidiary are exposed to personal injury and product liability lawsuits over hip and knee replacement infections caused by Bair Hugger warming blankets. The Bair Hugger has been used in many orthopedic joint replacement procedures over the past 30 years, including hip and knee replacement surgery. The device blows hot air onto the patient’s body, the forced air warming (FAW) to help control the patient’s body temperature during surgery.